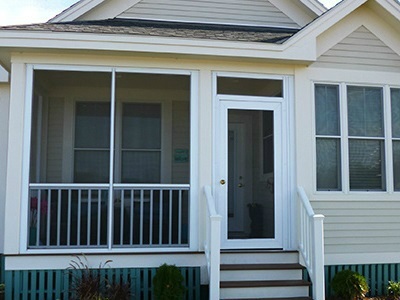 Sunspace Sunrooms are modular units that are custom designed for your home and can be installed directly onto an existing patio, deck, and even under a previously constructed roof! Choose from a variety of Total Room Packages to design and customize a new outdoor living space for you and your family to enjoy for years to come. Sunspace Acrylic Roof Systems are proven to retain 90% light transmission and clarity for 30 years. These sheets are 100% naturally UV stable and are available in a range of solar tints that block damaging UV rays while allowing various levels of light transmission and heat reflection. 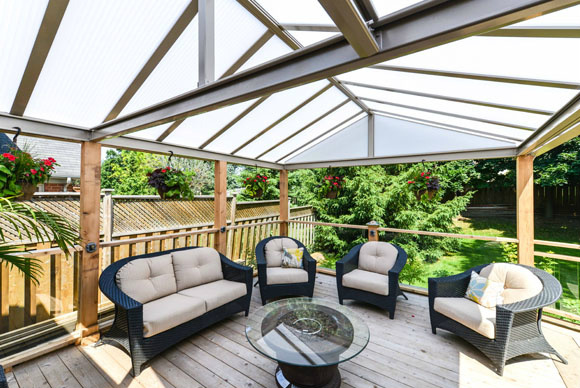 Why choose an Acrylic Roof System? Get the most out of life while sitting in your screen room by Sunspace. You create the design, we build to suit. 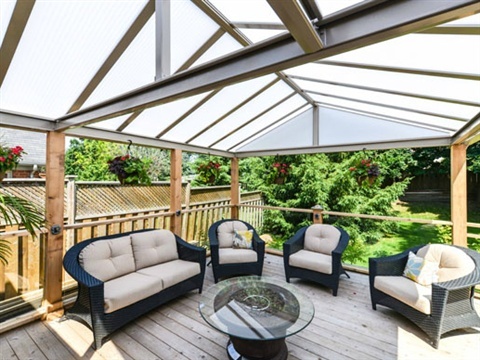 Your screen room will now become a great place to entertain company, family get togethers or just to sit and relax without the bugs driving you inside. Every region of the continent has its fair share of good and bad weather. 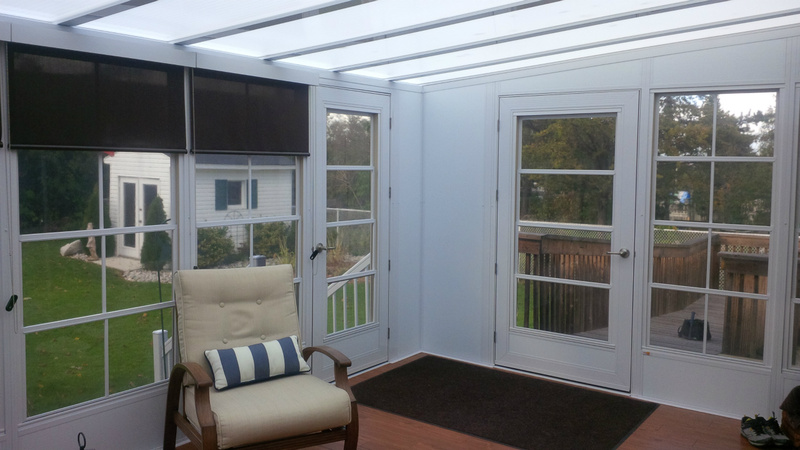 With a Sunspace Sunroom you can control the harsh conditions that might otherwise keep you inside. Overexposure to sun, rain and wind can spoil an afternoon outside, but not anymore. Sunspace Model 100 can easily be upgraded to Model 200 at any time! 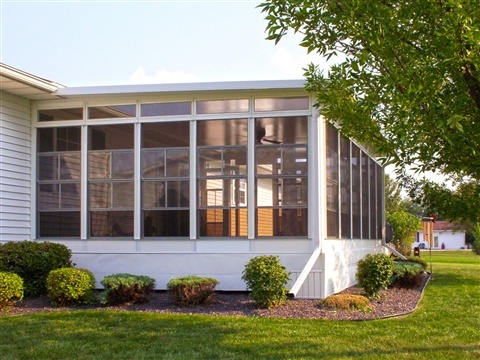 Don’t let nature lock you inside, rather enjoy the season from the comfort of your new screen room by Sunspace. 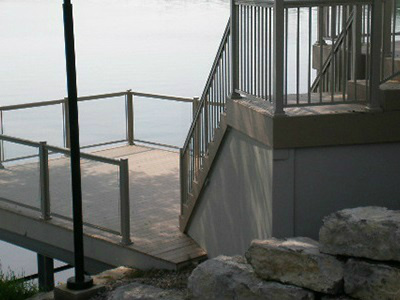 Decking Systems by Sunspace is slip resistant and water tight! It’s truly non-skid, making it the safest choice for your family and friends. And there is the Sunspace ThermaDeck Thermal Flooring System which provides a 25% better insulated rating than conventional flooring construction. 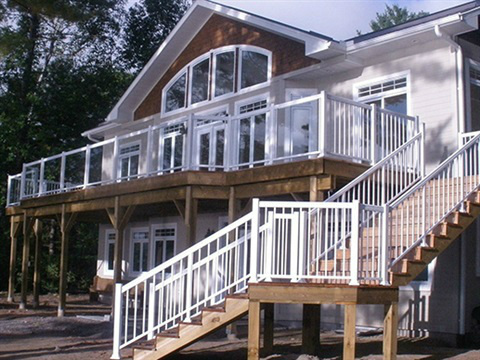 Your beautiful Aluminum or Thermal Decking System can be fully integrated with a variety of our Sunspace Sunrooms, Contemporary or Traditional Railing Systems and other Sunspace Sunroom products. 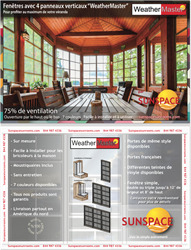 So whether it’s an Aluminum or a Thermal Decking System that you require, Sunspace has a product that is right for you! We guarantee it! WeatherMaster Windows are made from View Flex vinyl that is available in 4 different tings, allow for 75% ventilation, and are a virtually maintenance free window system. With a variety of products and colors to choose from to suite your specific needs and custom applications, WeatherMaster products are an economical way to expand the functionality of any space while adding beauty and value to your home. 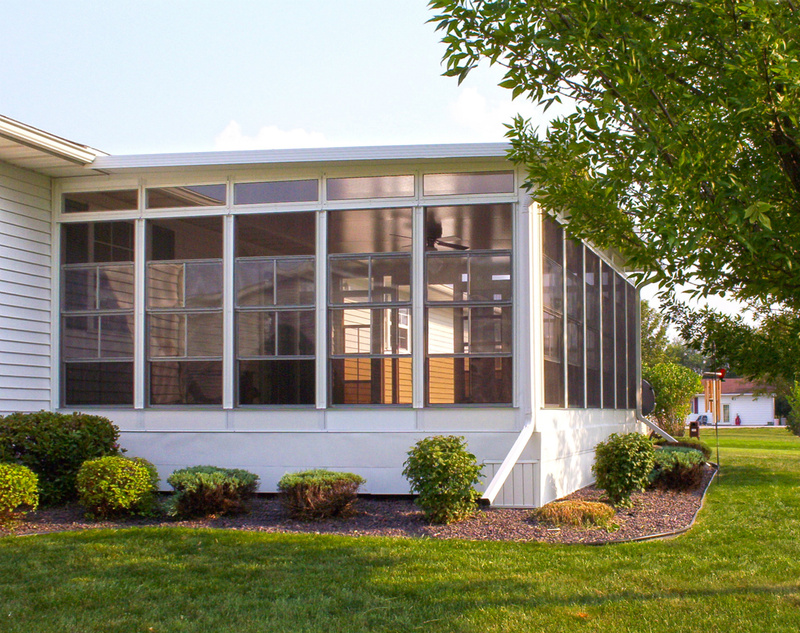 The WeatherMaster Horizontal 2 and 4-Track Window System closes to reduce wind, rain, pollen & sound. These units move effortlessly, sliding right or left to allow a generous 50 to 75% ventilation. 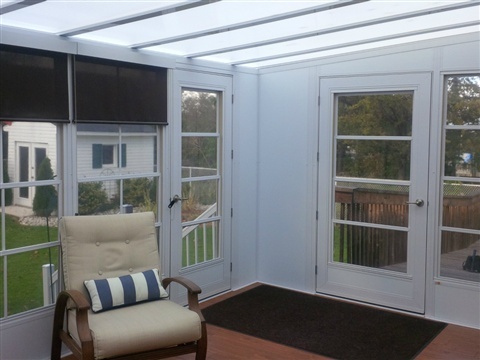 Designed specifically for porches, screen enclosures or even gazebos, the WeatherMaster system is easily installed and can convert any of these areas into your favorite 3 season room in the house. Available with an openness factor of 3%, 5% or 14% and with 6 fabric colors to choose from, SunShades are simple, effective, and economical. They are not only private, but easy to use as they raise and lower in one smooth, easy motion. Often referred to as “sunglasses” for your windows, their ability to cut the glare makes them ideal for media rooms, studies, or any sun-facing room where sun control is desired.